Welcome! Our office is here to serve all of your dental needs. We offer the highest quality dental care in Southern California while maintaining a personal and caring relationship with each of our patients. We pride ourselves in offering comfortable yet affordable dental care using state of the art techniques. These pages are designed to help familiarize you with our office. We would be happy to answer any questions you might have by phone or e-mail. We urge you to meet us in person for a complementary consultation and see for yourself if you�re not impressed. We truly believe dental treatment can be pleasant and long lasting! This information is intended to answer questions most often asked to familiarize you with our office and our procedures. Please feel free to call our staff about these or other matters that may concern you. Remember, we are here to assist you! 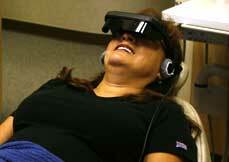 Individual virtual reality goggles allow viewing of your favorite movie during treatment. Choose from a list of 100 movies. Your personal screen and headphones will block any annoying external sounds. 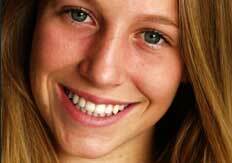 The latest in power bleaching and take-home bleaching allows you to have whiter teeth today. Click here to see the results you can achieve. Click here to see the results you can achieve. Gentle and thorough hygienists! Our professional and highly trained team is proud of our outstanding customer service. Our mission is to serve your needs in our comfortable and relaxed environment. REDUCED RISK AND INCREASED COMFORT! 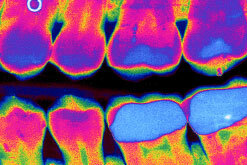 With digital x-rays and other high tech advances such as air abrasion, cosmetic imaging and sedation dentistry. No dental insurance? No problem we offer a great dental plan! Did you know that we offer an in-house dental savings plan right here in our practice � for both new and existing patients? We understand that traditional dental insurance premiums are expensive, and that insurance benefits are extremely limited on most plans. The good news is that as a member of Quality Dental Plan, all of your preventive care (including cleanings, x-rays and exams) is 100% covered in our office � and you�ll also receive valuable member benefits on restorative care, like fillings, crowns and implants�even cosmetic dentistry! We know that paying out of pocket can be expensive, so we�ve partnered with Quality Dental Plan to give our patients the kind of dental benefits they want and need. Now you can afford dentistry � and you can have the smile you�ve always wanted. Ask us today about Quality Dental Plan and how it can help make taking care of your smile affordable for you and your whole family! Call our office today at 858-755-9775 and start saving on quality dental care today.